Once upon a time, the kitchen was hidden away in a dark corner of the house or even a separate building. Smelling of smoke and garbage, it was a place of work, separated from the social parts of a home. Today’s kitchens couldn’t be more different. Furnished with efficient, hard-working appliances and built for comfort, they’re the heart of a home. Besides being the place where meals are prepared, families use their kitchens for dining, entertaining, studying and even relaxing. 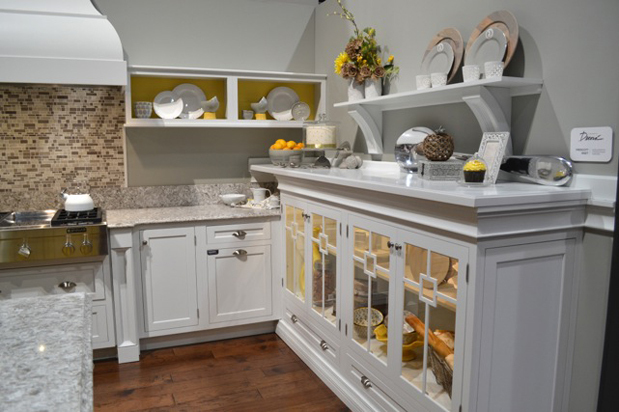 Looking to modernize your own kitchen? This resource guide, compiled by the team at The Home Depot, will help you make your kitchen more attractive and inviting. 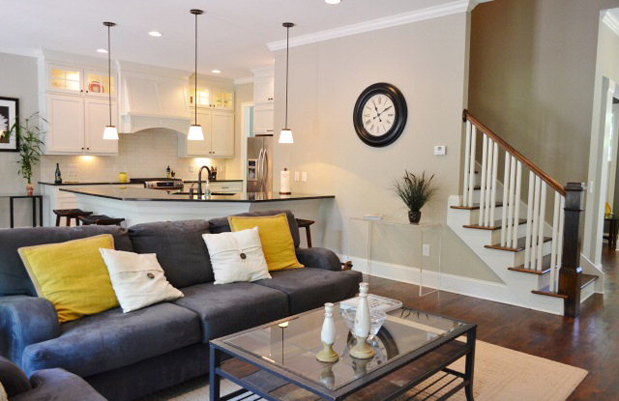 With helpful advice from interior designers and Coldwell Banker real estate experts, this guide will cover the room layout, appliances, finishing touches and more. 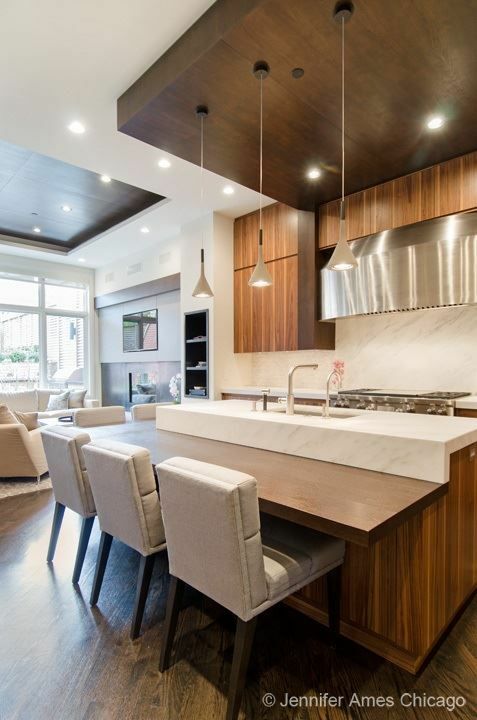 Read on to start designing your own modern kitchen. Some families are even bringing back the “keeping room,” a Colonial-era sitting room situated in or near the kitchen. Bryan Bufford, an agent with Coldwell Banker Upchurch Realty in Athens, Ga., says that some clients won’t even consider a house without a keeping room. These kitchen extensions often boast a fireplace, breakfast table and sofa. 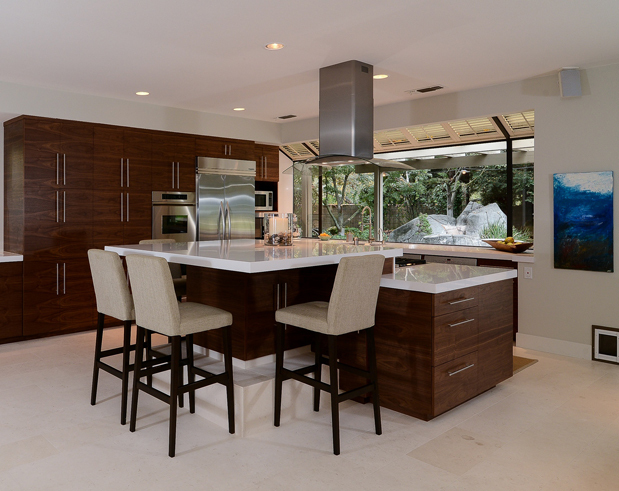 More than any other factor, a kitchen’s layout influences its functionality. 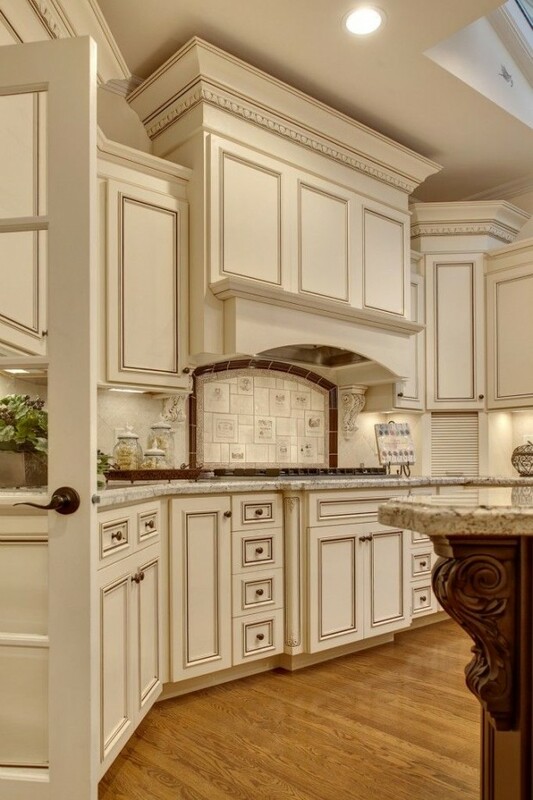 Are you working with a narrow galley shape, or do you have a larger U-shaped space with room to spread out? Is there an island or a breakfast bar breaking up the space? Is the kitchen open to the rest of the house or is it a stand-alone room? 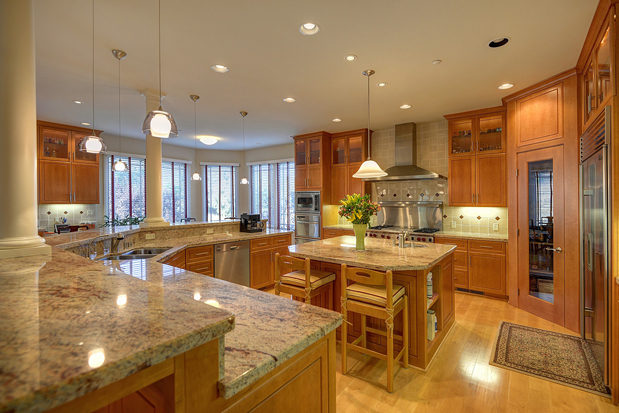 This article will help you determine your own kitchen layout. Once you understand your layout, you can develop working zones throughout the kitchen. Because the three hubs of a kitchen are the sink, the stove and the refrigerator, the most traditional model is the ergonomic “work triangle,” which places those three areas within approximately six feet of each other. 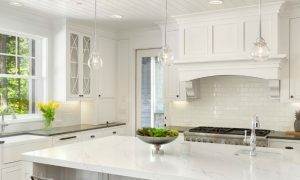 For more advice on planning out your kitchen work zones, check out this article from ForResidentialPros.com. Work triangles are still a popular approach, but the concept has evolved to accommodate modern needs. Many homeowners now have more space and more appliances, and they use their kitchen for more purposes than ever before, so it makes sense to embrace flexible, task-specific zones. Some people want their island to be the hub of the kitchen — or even the home. 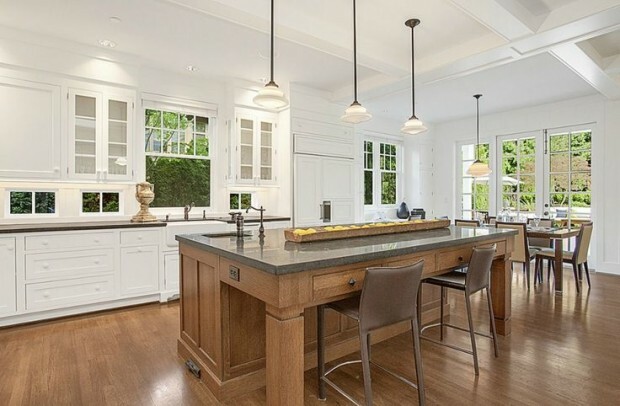 It’s crucial for the island to have enough space for at least two people to pass by at once, plus room to pull out stools, if they’ll be included. Here are some measurement guidelines from the National Kitchen and Bath Association. Today’s appliances — with their sleek appearance, quiet operations, energy efficiency and ease of use — are often a lifesaver for hard-working homeowners. “Our lives are getting busier, and more often than not, the households are dual-income,” interior designer Jeanne Chung says. Every kitchen relies on the same basic appliances, but there’s a different model for every type of homeowner, whether you’re a gourmand, a frequent entertainer or you’re more likely to use the oven for storing pots. Realistically consider your needs and desires before embarking on your appliance-buying adventure. If you’re looking for a refrigerator that’s energy efficient, make sure you fully understand the meaning of Energy Star ratings. This guide will help you read the labels. PRO TIP: “The convertible refrigerator, where a refrigeration compartment can be changed to freezer or wine storage with a flip of a switch, has been quite important. In short, appliances that can do double duty are and will continue to be important, as the consumer feels as though they are getting more value out of their investment.” — Interior designer Jeanne Chung. 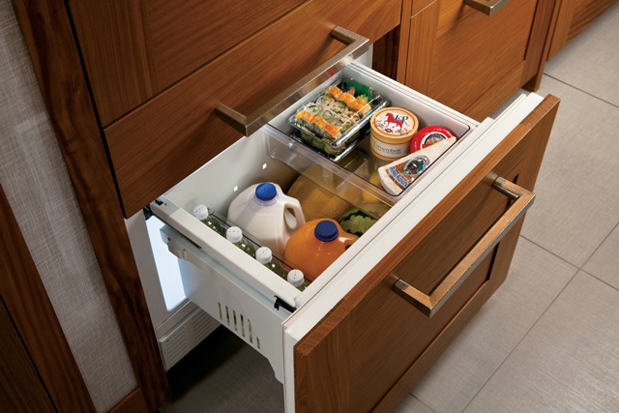 To see The Home Depot’s selection of convertible refrigerator options, click here. Once considered a luxury item, dishwashers are now a must-have appliance in most kitchens, saving homeowners precious time so they can focus on more important things. Today’s dishwashers are quiet, energy-efficient and hard-working cleaners built to last at least a decade — so it’s important to choose your model wisely. Use this resource from about.com for guidance in choosing a dishwasher. PRO TIP: “Consider installing two dishwashers to make clean-up a breeze. Dishwashers can be rotated for use or you may try a standard dishwasher with a back-up of a dishwasher drawer for smaller runs.” — Interior designer Kerrie Kelly. To see all the dishwasher options Kerrie mentions, visit homedepot.com. Between ranges, cooktops and ovens, today’s cooking appliances are faster and more powerful than ever, with an expanded selection of features appreciated by all levels of home cooks. Besides the classic four-burner gas and electric ranges, modern cooks have some truly impressive technology at their disposal. Induction cooktops use a special high-frequency coil under the cooktop’s surface to heat the cookware by magnetic touch. The cooktop stays cool while the cookware gets hot. This is an increasingly attractive option because it’s safer, heats food more evenly than traditional cooktops and it’s easier to clean! Browse Home Depot’s induction cooktops here. Convection ovens use fans to offer faster, more even baking than conventional ovens. They’re available both in gas and electric versions. Gas is often preferred for cooktops, while electric is generally viewed as better for baking. To get the best of both worlds, consider a dual-fuel range. Who says the oven and cooktop have to coexist? Many modern homeowners are choosing to separate the two by installing a wall oven (or even two wall ovens!) apart from their cooktop. 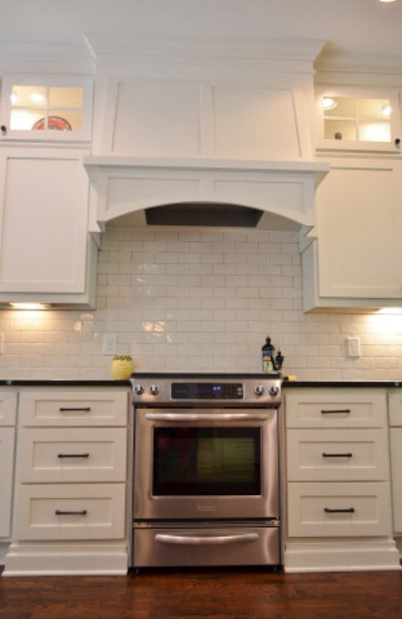 Besides offering easier access for cooks, wall ovens save space by fitting seamlessly into the cabinetry. Browse The Home Depot’s wall ovens options here. Even the best chefs have the occasional accident in the kitchen, resulting in plumes of dark, smelly smoke. That’s where a range hood comes in. The ventilation system rids your kitchen of unwanted smells, heat and moisture, and it comes in styles to fit any kitchen, including over-the-range, downdraft and microwave/range hood combos. Check out Home Depot’s collection of range hoods here. PRO TIP: “A nice appealing item is the fifth cooktop burner, as opposed to the traditional four-burner cook top. Commercial-style ovens are still a popular item as well.” — Steve and Heather Ostrom, agents at Coldwell Banker Sun Ridge, Roseville, Calif. These fast cookers are beloved by even the most demanding gourmand. Shoppers should consider where they’ll be putting their microwave (on the counter, over the stove, built into the cabinetry), the wattage they need, and special heating options (convection, inverter) they might use. This microwave-buying guide will help you on your way. Find Home Depot’s selection of microwaves here. They may not be as big or powerful as some of your kitchen’s major appliances, but sometimes the smallest appliances are the most important — just ask any coffee drinker. Toasters, blenders, juicers, mixers, griddles and coffee makers can be some of your kitchen’s hardest working and most beloved items. Consider an “appliance garage” to help you clear countertop clutter. Take a look at these 10 ideas apartmenttherapy.com has on clearing counter clutter. Browse Home Depot’s selection of small appliances here. Having plenty of space to prep food and store supplies is crucial to an efficient and organized kitchen. When it comes to storage, some modern homeowners opt to show off their dishes with open shelving. Others give just a hint of what’s inside with glass-front cabinetry, while solid wooden cabinets in all shades are still the most popular — and practical — choice. You may want to consider installing custom storage options depending on your cooking habits, whether you regularly cook with wine (a built-in wine rack) or you want to keep your shiny copper pots within easy reach (a hanging pot rack). Running low on space? Here’s how to create more surface area. Between cooking and cleaning, most people spend the majority of their time in the kitchen standing over the sink. Having a cramped, shallow sink can seriously dampen your cooking experience, which is why it’s important to find just the right model — and accessories — for your needs. As for the faucets, options include single- and double-handle versions, various finishes (rustic bronze, brushed nickel, chrome), and popular pull-down models. Some newer faucets even have motion sensors. What’s the difference between copper, stainless steel, cast iron and all of the other sink materials? This guide from hometips.com breaks down the differences. A garbage disposal is a sink’s best friend. Healthguidance.org offers some tips for keeping your disposal healthy. Lighting may be the hardest-working — and most underrated — element of your kitchen’s design. “All the color, plumbing and appliances in the world sit flat and lifeless without the appropriate lighting,” Kerrie says. The good news? 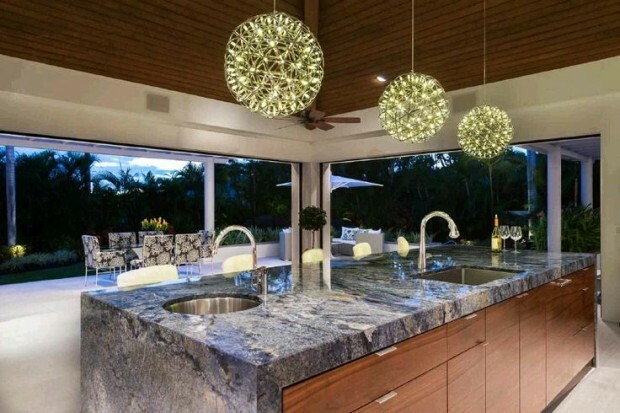 Lighting is also one of the most affordable design elements in your kitchen. Choose appropriate lighting for different areas of the room, including above the sink, dining, and prep areas. 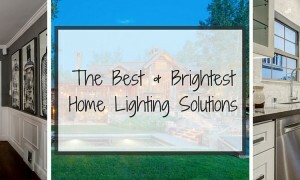 Options range from overhead lights to task lighting, recessed lighting and even chandeliers. 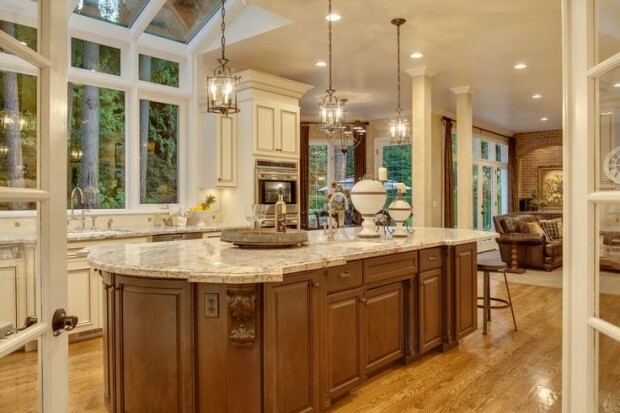 Reference this guide from The American Lighting Association to help you decide which type of lighting to choose for the different areas in your kitchen. Hanging lights come in all shapes and sizes, offering serious style as well as functionality. Whether you choose rustic barn lights, sleek glass orbs or handmade Mason jar fixtures, it will automatically become a major feature of your space. Here’s a photo gallery from digdigs.com of fun hanging lights. Feeling crafty? Lighting is an easy area to test out your DIY skills, as with this simple pendant light project from tatertotsandjello.com. The most minor, inexpensive details can sometimes have the biggest impact on your kitchen. From wall color and window treatments to chairs, décor and accessories, these are the elements that will add style, comfort and color to your kitchen. Regular rules for window coverings don’t apply in the kitchen — it’s a whole new territory, whether you’re adding a bamboo shade over the sink or dressing a bank of windows in the breakfast nook with drapes. From Roman shades to folding shutters, this article highlights some popular window covering options from Centsational girl. The backsplash makes post-cooking cleaning easier while adding subtle style to the kitchen. Brighten the room with colorful hand-painted tiles, keep it sleek with white subway tiles or add shine with galvanized metal. This decorpad.com slideshow will give you some inspiration. Kitchen rugs protect your floors from the inevitable splashes of water, sticky food and cooking grease. Here’s a fun DIY project to customize your kitchen rug. At the end of the day, the modern kitchen is exactly what you want it to be: a space that is fully customized and comfortable for you and your family. What does your dream kitchen look like?